Forsaken is scheduled for release in 2014. After directing 58 episodes of the hit TV series 24, Jon Cassar has covered a lot of dramatic ground and pulse-quickening action sequences with actor Kiefer Sutherland. Still, there was one scenario they could never quite shoehorn into the narrative, despite repeated suggestions by Jack Bauer himself. Kiefer, of course, is an accomplished rider, having spent part of the late 1990s perfecting his skills on the rodeo circuit after playing cowboys in films such as Young Guns and the Cowboy Way. But there was a more compelling reason to make Forsaken, a classic gunslinger tale that recently wrapped shooting in Springbank just west of Calgary. Father and son have been in the same films before. Kiefer’s debut was a tiny role in the 1983 comedy Max Duggan Returns, which starred his father opposite Jason Robards and Marsha Mason. He also played a heavy in 1996’s A Time To Kill, in which Donald also had a supporting role. But, up until now, they had never been in the same scene together. Spotlight Forsaken is scheduled for release in 2014. 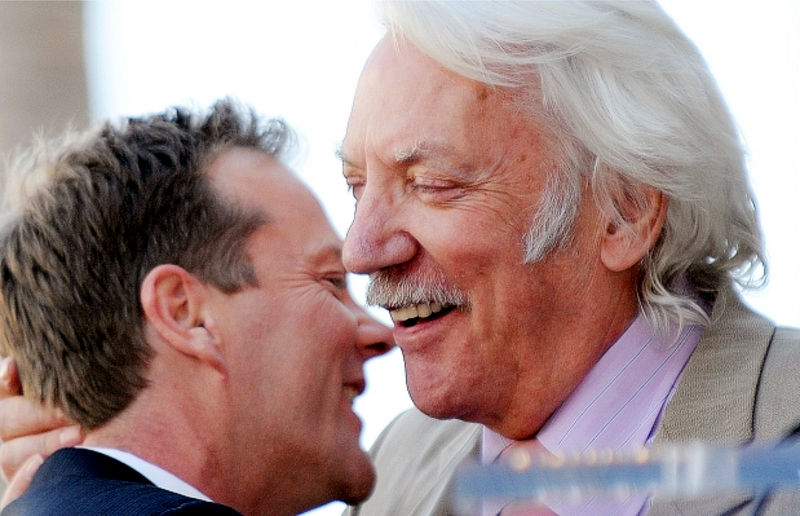 “Then it morphed from that to ‘My dad and I together. 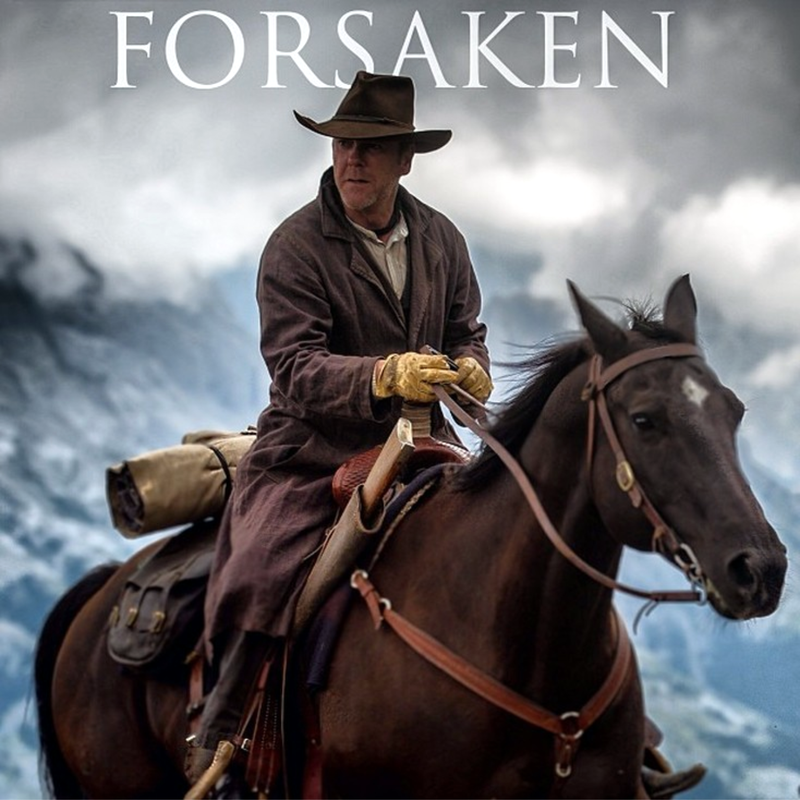 '” So, after years of discussing the possibility of doing a western with Cassar, Kiefer commissioned the screenplay for Forsaken from Brad Mirman, designing it as vehicle for himself and his father. He plays reformed gunfighter John Henry Clayton, a haunted Civil War veteran who returns home after 12 years to patch up his relationship with his estranged father, who is a minister and rancher. When a ruthless businessman and his thugs decide they want Clayton Sr.’s land, his son is reluctantly pushed back into action. If this all sounds like a fairly typical setup for a western, that’s because it is. The idea was to hearken back to the classic western tropes: The greedy landowner, the reluctant hero, plenty of gun play. During a visit to the set a few weeks ago, much of the day revolved around filming a shootout in a saloon. It doesn’t get much more classic-western than that. Shot for under $20 million, Forsaken began filming in late July on the CL Ranch, which conveniently comes equipped with a ready-built western town. But it was right after Discovery Channel’s Klondike had wrapped, meaning the town had to be quickly transformed from a booming Dawson City circa 1890 to a not-so-booming town in the wild west circa 1870. The Sutherlands are joined by an impressive cast of veterans and up-and-comers. Demi Moore plays Kiefer’s former sweetheart. Brian Cox is the ruthless businessman attempting to buy up land he can resell to the incoming railroad. Michael Wincott is his verbose hired gun named Gentleman Dave. Meanwhile, Alberta natives Landon Liboiron, last seen as a werewolf Gypsy in Netflix’s Hemlock Grove, and Siobhan Williams, a Calgary native appearing in Hell on Wheels, are cast as a young gunslinger and his love interest. But while there are plenty of classic western touchstones, the heart of the story is the relationship between John Henry and his father, which allowed for plenty of dramatic scenes for the Sutherlands to sink their teeth into. For now, the film has entered post-production and producers – which include Kevin DeWalt of Regina’s Minds Eye Entertainment and Edmonton’s Josh Miller of Panacea Entertainment – are aiming for a theatrical release some time in 2014. Meanwhile, Cassar and Kiefer Sutherland are preparing to shoot 12 more episodes of 24 for Fox. It’s unclear if horses will be involved. I love it when a couple of generations appear in a movie or TV show together. I think it’s really neat. The Douglas’ family have done a couple as have the Bridges’ and Sheens’. “On Golden Pond” where Jane and Henry made their one and only screen appearance together was really touching. Yes. In most instances it seems to work very well. 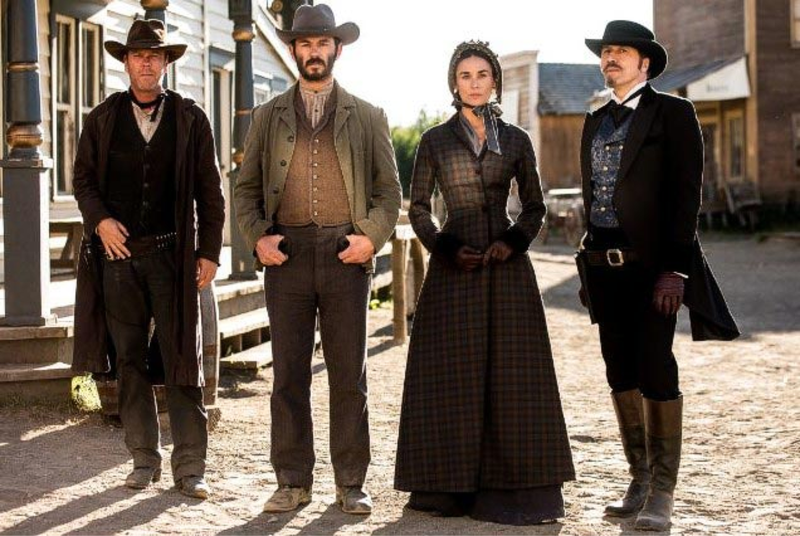 Some of the actors in Forsaken must have been working for just drinking money though, which was made for 20 million – chump change for a movie. A lot of stars work for a percentage when they think it’ll be a hit … or for scale if they just want to do the project. I guess they can afford it 🙂 Their idea of chump change is MY idea of a lottery win. is it not come out at movies first…I am going nuts…I think Google and I have very close relation ship now…. Hell, I want to see it too ! It’s still in “post production” – not released yet. I figure it will come out shortly. Sorry you were looking all over. When it comes out I’ll post again. Take care. And thanks for dropping by. We’re all waiting for it … but I don’t think it’s released yet. Hopefully this Fall.